This vintage antique silver plated, brooch is perfect for anyone looking for a unique design. The metal leaves have a vintage like design and the center of the brooch is accented with crystals and pearls. 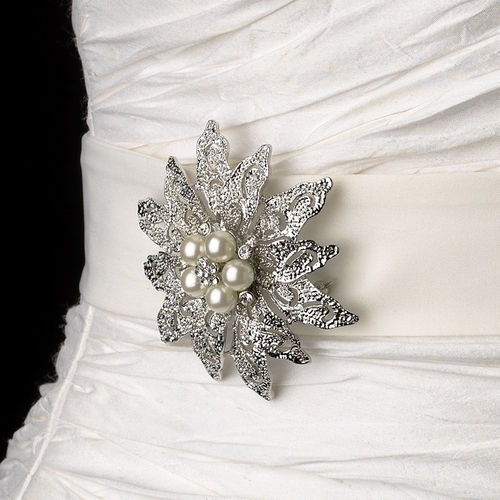 This pearl and rhinestone brooch has a romantic floral like pattern. Pin it on a belt to give that special touch of elegance.